I live by the creed of being proactive instead of reactive. Over the years, I’ve learned that it’s better to plan ahead and think of all possible outcomes. This includes health issues that run in my family. Now, maintaining a healthy life is important to me because it keeps me healthy long term. It’s amazing how taking small steps today can prevent major issues in the future. A few years ago, I made a decision to research natural remedies and find out what items in my kitchen can help prevent health issues. Here are a few steps and small things to today to help create a healthy life for you tomorrow. 1. Oral Health – I’m obsessed with having healthy teeth and gums. 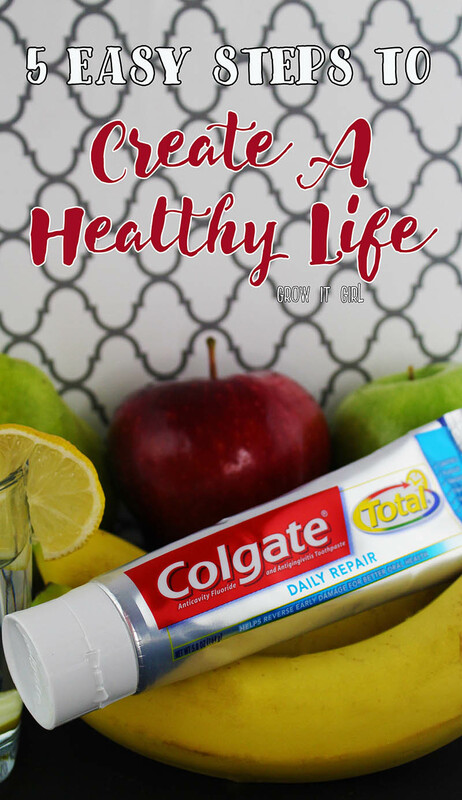 Maintaining proper oral hygiene is essential to preventing serious health issues in the future, so I make sure to stay on top of my oral health. 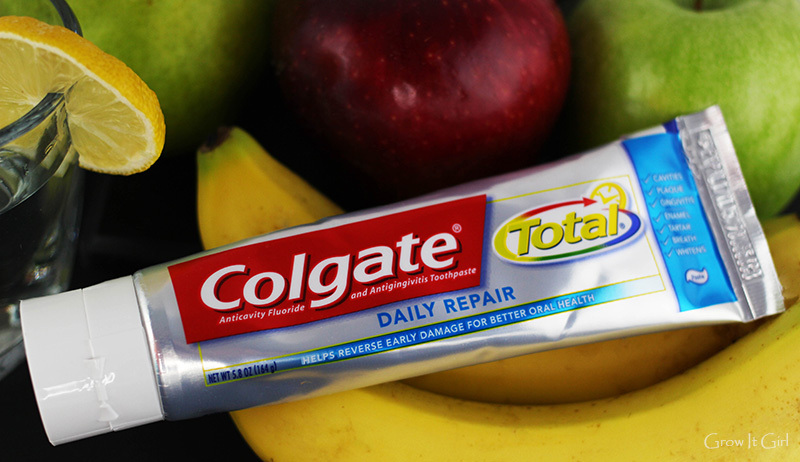 I brush at least twice a day with the New Colgate Total® Daily Repair™ toothpaste. It fights gingivitis and plaque buildup, remineralizes enamel, fights bad breath, and whitens teeth. Love it! It’s a win for me all the way around. 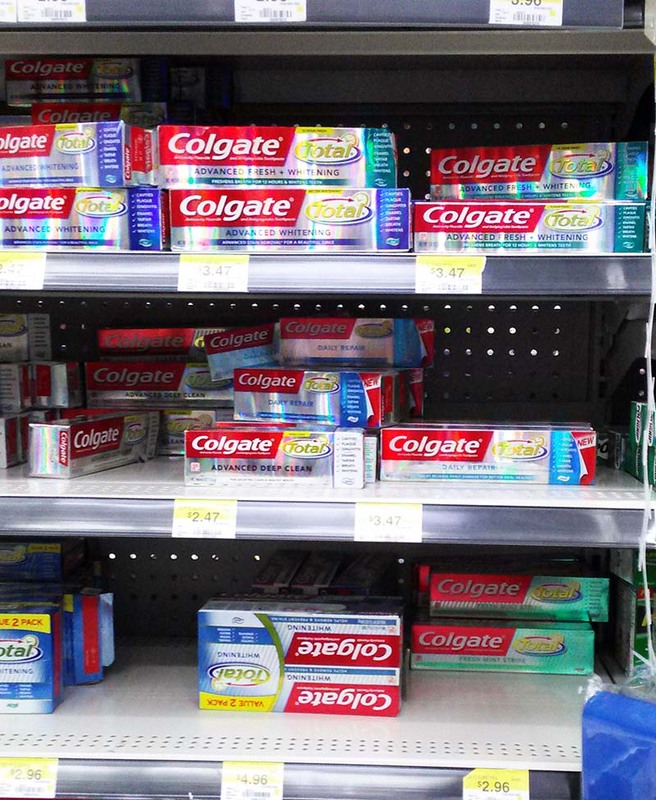 If you’ve read my previous Colgate post, you know I’m seriously a fan of the brand. 2. 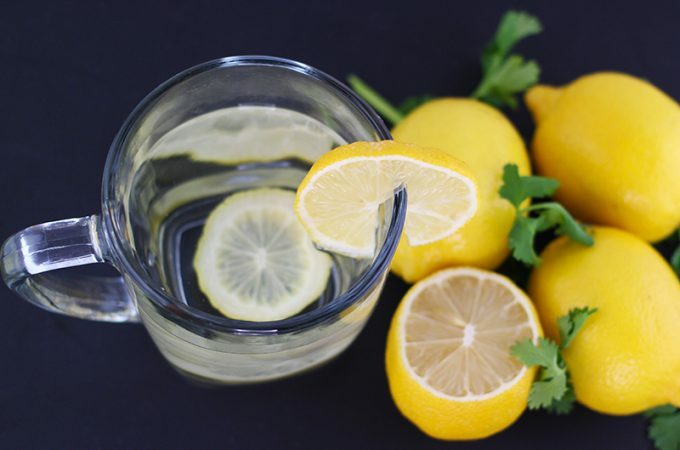 Lemon Water – Who knew that one little yellow fruit had so many benefits? I love drinking warm lemon water in the morning. Just a half of a lemon in warm water (within 30 minutes of waking up) in the morning wakes up and detoxes your organs. If you have stomach issues like me, it helps with digestion. 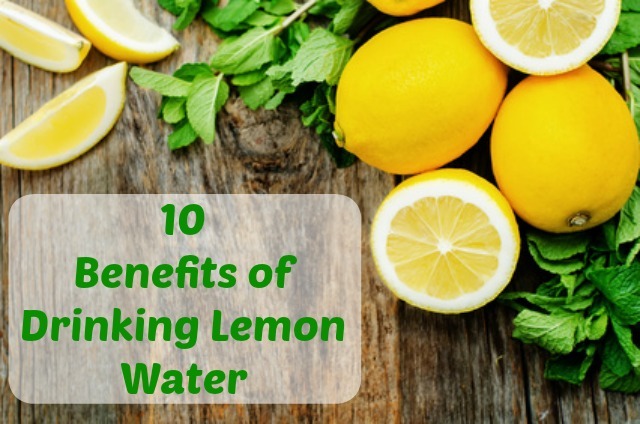 Most importantly, lemon water helps create an alkaline body which can prevent certain diseases. Given my family medical history, I’m all over this one! 3. Snacks – I’ve really gotten away from sugary store bought snacks. I actually don’t use sugar at home and haven’t for years. I find that I don’t have cravings like I did before I cut out sugar. 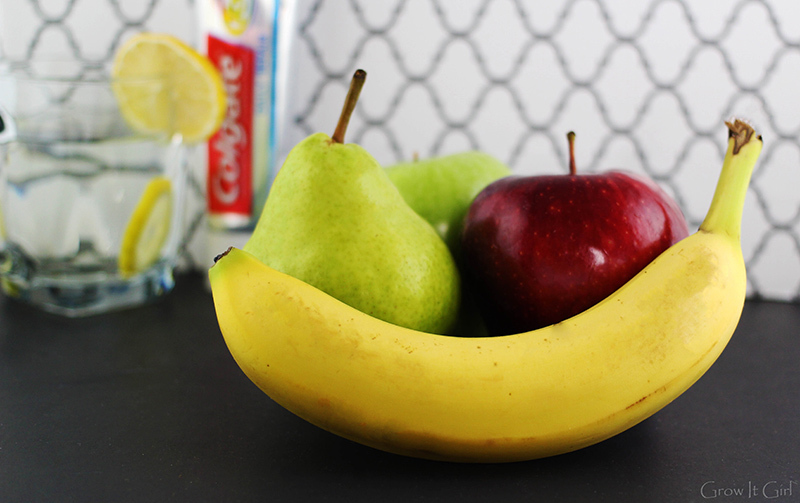 I know sometimes when you are on the go or in a pinch it’s super easy to grab something sweet, but I started swapping sugary snacks with fresh fruit. Making the switch has helped a ton with weight loss. I’ve noticed that convenience stores have displays with apples and bananas. Check out your local convenience store the next time you are on the go and craving something sweet. 4. Fitness – I have a love – hate (mostly love) relationship with running. I started running a few years ago and I try to run at least three times per week with my running group. Sometimes, our runs are cancelled due to weather, my running partner isn’t up to going out that morning, or my joints are not in the mood for a run. Let’s be honest, it’s hard to wake up at 4:15 a.m. and hit the pavement. However, on the days that I don’t make it out to a group run, I take a stroll around my neighborhood. A simple walk around your neighborhood is better than nothing at all. You would be surprised how much weight I lost before joining my running group when I moved here just by walking around my community. I’m not talking about a power walk but a walk at a normal pace. Even dancing while cleaning burns calories. Yep! I’m notorious for this one. 5. Meal Planning – I can’t tell you how many times planning my meals for the week has saved me from eating something unhealthy. I’m sure it saves on electricity because you are not opening and closing the fridge looking for something to cook. As I like to say, “I keep looking in the fridge like something is going to jump out or magically appear.” LOL! I can’t be the only guilty person. Planning my meals keeps me focused and dedicated to my journey. It only takes me 30 minutes or so to set my menu for the week. From there, I can create my shopping list…also saves money and time wandering around the grocery store. I’m a firm believer that every little bit helps. Sometimes it takes small steps to build bigger and better habits. When I first started running I could only run short distances but over time, I was able to run for longer periods. Whether it’s eating healthy or working out, if I do slip up or get off track, I don’t beat myself up. I know that mistakes happen and I just regroup and keep going. I know the things I do today will benefit me years from now. Okay so, I might forget to floss and fall asleep but it happens to all of us. I know the little things I do today (even if I forget from time to time) will help me maintain a healthy life. 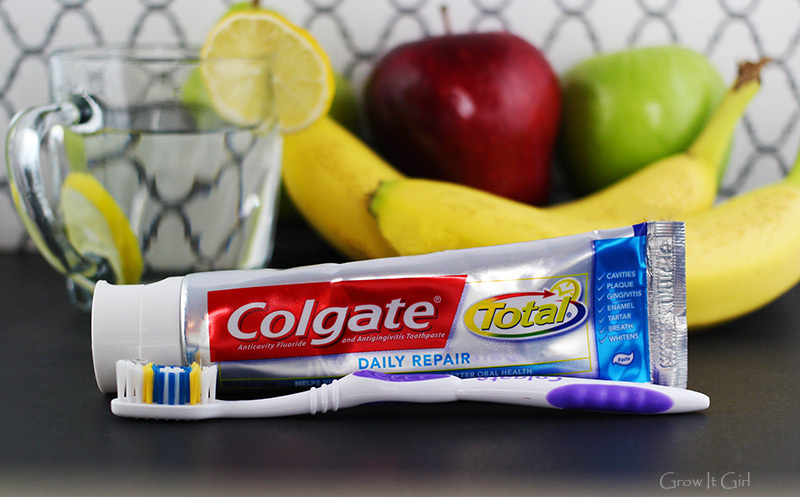 Be sure to check out the benefits of the New Colgate Total® Daily Repair™ toothpaste and pick it up at your local Walmart. Visit Colgate’s Facebook page or Twitter. Here’s where I found it at the store in my area. What steps do you take to prepare for tomorrow? 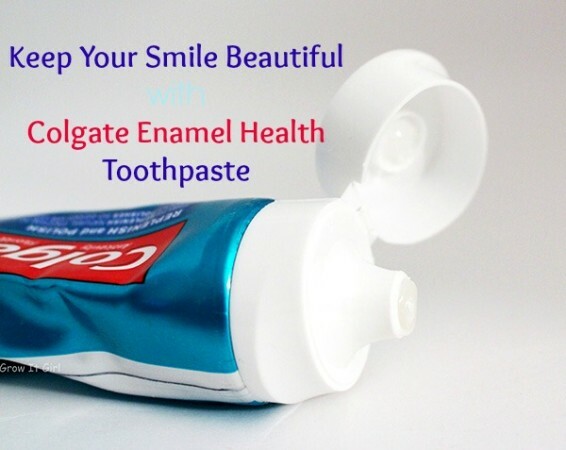 Keep Your Smile Beautiful with Colgate Enamel Health Toothpaste! I’m a big fan of lime water. I’m hoping it has the benefits of lemon water. Now that’s a good question. Makes me wonder too. Some great little reminders! Thanks for sharing! Great tips! I do all of these (except exercise) which I really have to get better at! 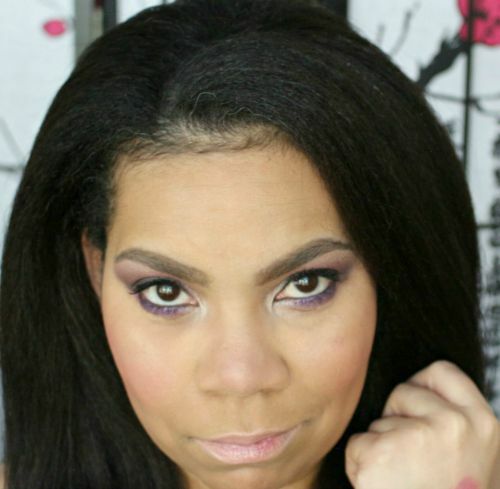 Kristina V recently posted…New Zoya Lipsticks! Really great tips. I will have to try the lemon water and work on the fitness. I too agree oral hygiene is overlooked. Great tips! I am a huge fan of lemon water, and my husband is too. Even when we go out to restaurants, we ask for a lemon wedge in our water. Excellent post!! I think we are kindred spirits because I approach life the same way. I prefer to be proactive rather than reactive. 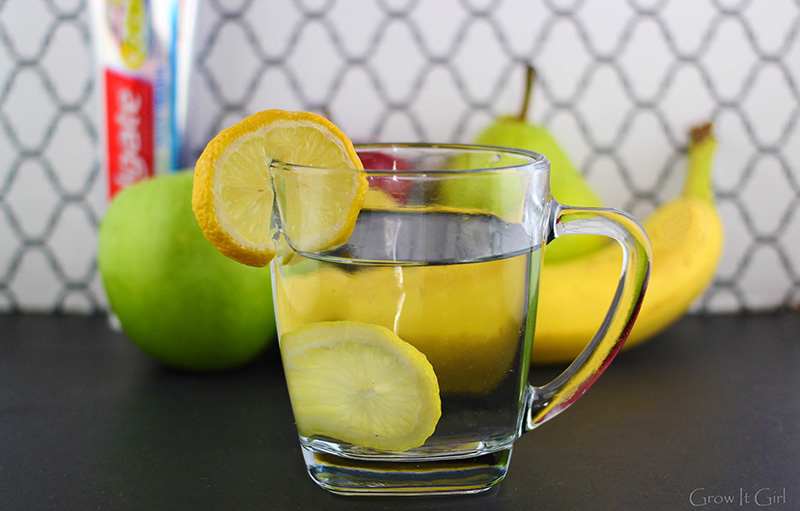 I’m obsessed with oral health, I drink LOTS of water (although I need to try the lemon thing…does it work as well with cold water? ), I walk everyday, and I plan meals. Truly simple steps for good health!!! Pinned! Thanks so much! I would say cold water is fine for the alkaline benefits but for detox, you would need the warm water when you wake up in the morning. Great tips. I think dental hygiene so overlooked when it comes to over all health. Jessica recently posted…Homemade vapor rub- Safe for kids!